Bulldog Winch is excited to introduce this brand new line of trailer winches tailored to the car hauler trailer customer needs! These winches feature: All-in-one design including the mounting plate for easy deck mounting. Low profile & compact design - even the largest size will fit into a 20" box/cabinet. Premium 250A sealed contactors for dependable service. 20ft wired controller for use at the back of the trailer & wireless control optional with addition of #20212. Shorter 6mm x 50 ft. Synthetic rope on narrow drum for easy spooling and rope management. 1.8 hp. Permanent Magnet Motor powers load in and out. Automatic load holding brake. Free spooling Clutch. 136:1 Gear Ratio. 13.15" x 4.13" Mounting Plate bolt pattern. 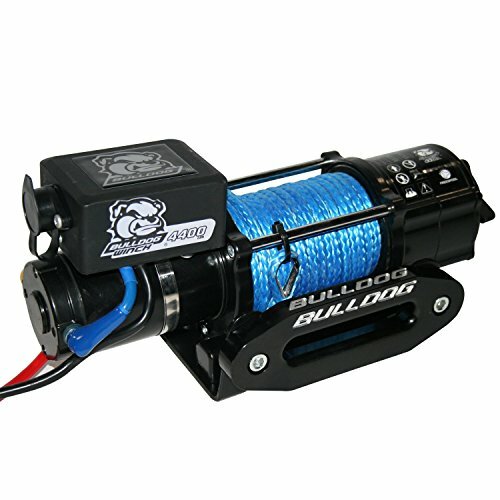 These are very unique trailer winch designs....only available from Bulldog Winch! All in one design, Includes mounting plate with counter sunk Bolts for easy flat deck mounting. Low profile & compact design - will fit into a 20" box/cabinet. 50 feet of synthetic rope on a narrow drum is long enough for most trailers and makes spooling easier. Fairlead mounts to plate above deck level.